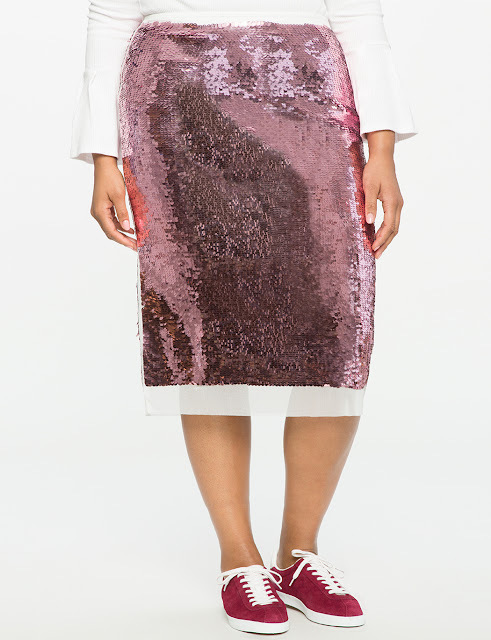 I love a good glittery statement piece, and this pencil skirt is adorable. The pink and white combo is really cute for spring, and you could easily make this fancy enough to wear to a summer wedding even! 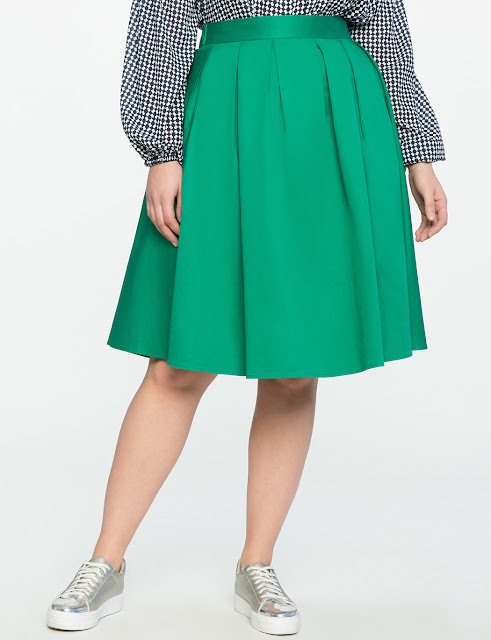 This skirt is available in green, pink, blue, yellow and black, and you guys, IT HAS POCKETS. I've been saying for ages that I want a pleated midi skirt. I want this one. Specifically this one please! Embroidery is a huge trend for Spring, and you know I can never resist a good bardot dress. This looks both really comfy and wonderfully on trend too. I am in love with this dress. It's probably my favourite item of plus size clothing that I've seen in a long time. The print is just outrageously fun and I want it on my body. The chevron print combined with the rainbow of colours is everything! I didn't know I needed a yellow faux leather jacket till I saw this, but yeah, I really do. I mean, it also comes in black, but now I've seen it in yellow I can see so many outfits with it! I love the side zipper on this, it makes it that bit more interesting. 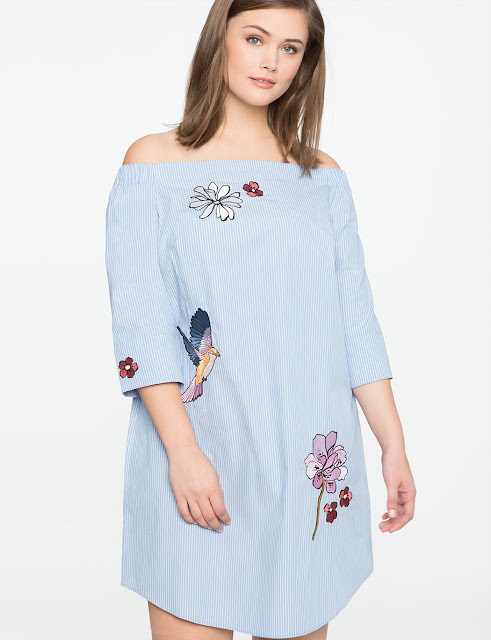 Eloquii offer really structured, well thought out pieces. They are a higher price point, but for the quality and attention to detail it's worth it. I could quite easily spend a fortune on their website, so let's hope I win the lottery for my birthday in February! Oh my god that long sleeved dress & the yellow jacket are amazing. I had no idea I needed a yellow jacket till I saw this one! As you possibly appreciate, it is very unlikely I would wear any of these clothes, what with me being a man and all that. That said, I'm glad I found your site. I can see the appeal of Eloquii. I haven't done any for a while, but I occasionally write about men's style and I won't deny it, I draw a lot of inspiration from female fashion bloggers because you're all so good at producing good imagery! For that reason I'll be back. The blue dress and the green skirt are really nice! And I don't normally like bright colours, haha. The green skirt & printed dress are beautiful!